This was one of the longest photo days of my life. I got up at 4 am to photograph the Dallas Divide at sunrise. After I spent several hours photographing the fall colors in the surrounding area, I decided to take the scenic route to Vail where we were staying. 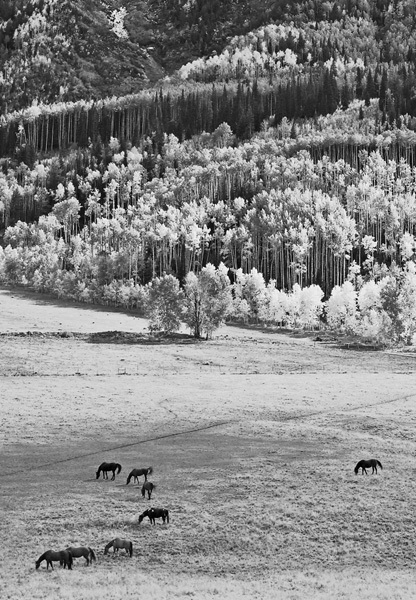 This photo was taken near Marble Colorado, a ghost town about 20 miles southwest of Aspen. At one time, Marble was the third largest industrial city in Colorado and thousands of people worked here. The marble used for the Lincoln Memorial and the Tomb of the Unknown Soldier was mined and finished here. Photo © copyright by Mike Barton.